Ashley Woodhead is an Executive Director in the Melbourne Office and has a thorough understanding of the comprehensive services Dixon Advisory offers. Ashley’s role is to help people understand their own financial situation and priorities, as well as provide them with information about what the firm does and why. This means clients can make their own decision about whether the solutions Dixon Advisory provides suit them. “What I really like about our SMSF service is the ability for our clients to walk into our office at a time suitable for them, meet directly with their Investment Adviser and Account Manager and have all their superannuation queries taken care of under the one roof,” Ashley says. 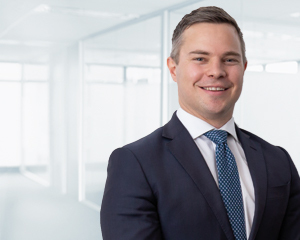 Previously, Ashley provided strategic financial advice to Dixon Advisory clients, specialising in superannuation and self managed super fund strategies as well as tax effective strategies, wealth protection and transition to retirement strategies. Before joining Dixon Advisory, Ashley worked with Melbourne firm Swanton and Davidson Pty Ltd, actively assisting in the provision of quality financial advice. Ashley has a Bachelor of Business, majoring in Financial Planning with distinction from RMIT. He is a Certified Financial Planner (CFP) and a member of the Financial Planning Association (FPA).